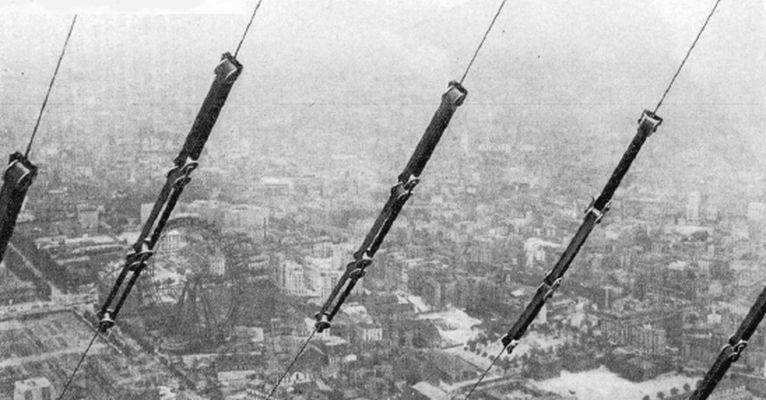 The use of the Eiffel Tower as a radio broadcasting antenna was not just a technical application related to its size: it saved it from destruction. Indeed, the tower was built for 20 years only, so it had to be dismantled at the end of the lease that had been granted but what prevented its dismantling were the successful broadcast tests carried out by the French army. We must still know that Gustave Eiffel felt that if he did nothing, he would have to dismantle his tower, which is why he allowed a very large number scientific experiments, and one of them concerned broadcasting. It was she who saved the tower of destruction, the army seeing an interest. The first tests were done 9 years after the end of the construction of the tower, November 5, 1898. The system worked as a spoken message circulated between Ernest Roger and Eugene Ducretet, who were one at the Eiffel Tower and the other at the Pantheon, 4Kms away. These tests were completed and Gustave Eiffel, seeing this as a good opportunity to make his tower indispensable, offered the opportunity to the armies to use it to position military antennas. He even paid the expenses, proof of the importance he gave to this device (December 15, 1903). A month later the Engineer accepted the installation, which becomes an important support in inter-army communication. The transmissions are towards the regiments of the East, but also to the South, to Casablanca (via a relay at sea). 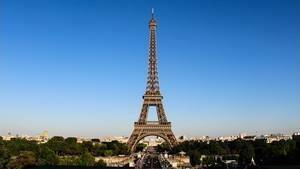 The Eiffel Tower becomes a real military building, with an underground telecommunications room. It will allow communication with the taxis of the Marne, the United States, and will even capture the message of the Germans in 1918. The text below is a transcript of Gustave Eiffel's book 'The Tower of 300m', which explains the essays made up to the Pantheon in 1898. A 25 cm Ruhmkorff spool, powered by my motor switch and a hand switch, for strong currents, producing intermittent emissions of oscillating discharges between the three spheres of an oscillator. One of the extreme spheres of this oscillator was placed in communication with the insulated end of the radiator wire suspended in space to the intermediate platform; the other extreme sphere was directly connected to the metal mass of the Tower, playing the role of earth. Under these conditions, the length of the spark between the spheres of the oscillator is greatly diminished, probably because the radiator wire, in the vicinity of the metal tower, acquires a large capacity. The receiving apparatus was installed in the Pantheon, on the terrace above the colonnades. 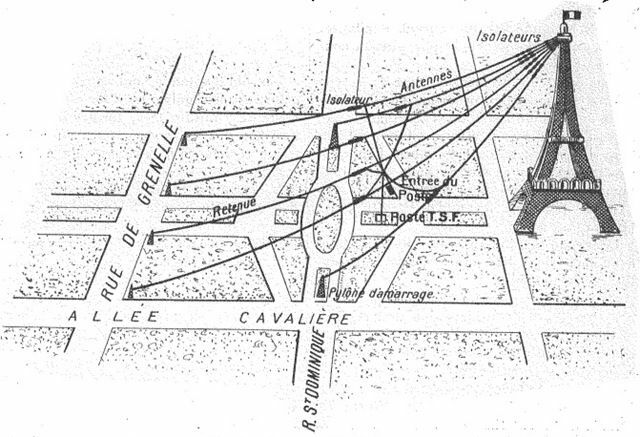 By placing oneself in the opposite conditions, the pantheon becoming a transmitter and the receiving Eiffel Tower, one obtains no reception of waves; the immediate vicinity of the metal tower and the vertical collecting wire cancels the effect of the waves which should act on the radio-conductor. We must add that the latter phenomenon may simply be due to certain circumstances of the experience that can be overcome. The tests on the great battleships, which form much larger masses of metal, seem to furnish convincing proof of this. This conclusive trial resulted in undeniable military interest in these new technologies, but this interest was not immediately apparent. 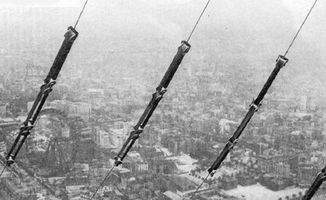 True to the idea of putting efficiency first, the great dumb always favored, at the beginning of the 20th century, the use of optical signals and racing pigeons, techniques that had proved their worth. 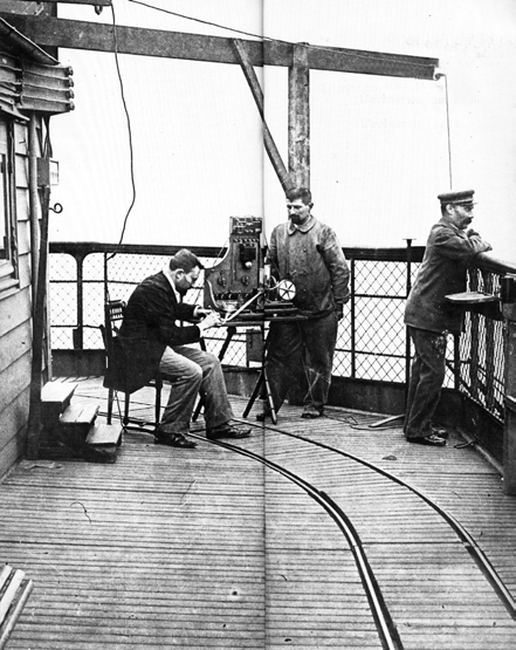 But, to force the army to take an interest in turn (and thus limit the risk of disassembly to the good of the concession of 20 years, December 31, 1909), Gustave Eiffel proposed in 1903 to finance the project of Captain Gustave Ferrié to create a wireless transmission network. Unfortunately the techniques being in their infancy, he was opposed the inefficiency of these novelties to justify the non-payment of credit to his research. So it was Eiffel who financed for him his experiences. The army agreed on January 21, 1904 that it approaches the captain to set up an antenna and a barracks for the tests. 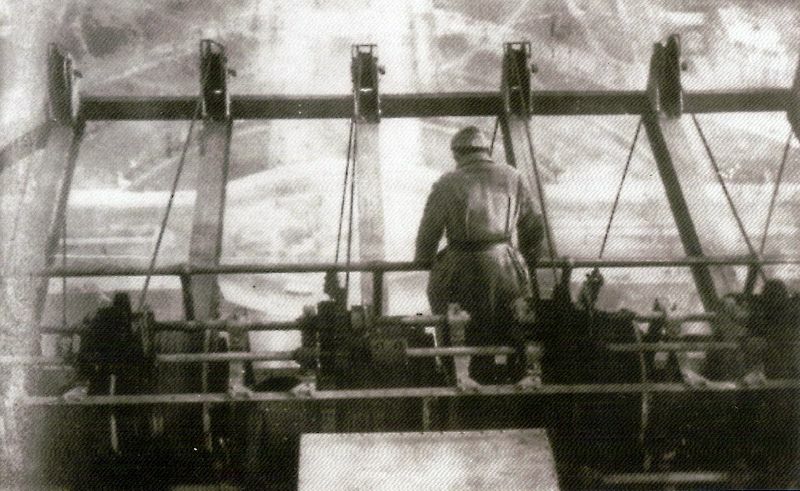 At this time the Champs-de-Mars was fallow, so it was simple to mount this equipment. First the antenna was mounted between the 1st floor and the shack where Ferrié's laboratory was located, then, quickly, the antenna was hoisted on the second floor before being installed on the 3rd floor. The other end was attached to a tree on Suffren Avenue. This installation will be modified several times. In 1908 four antennas were fired with a length of 360m, then more efficient technical installations were made by burying the laboratory, a laboratory which was no longer in the experimental phase. In 1909 the Antenna consisted of six strands of 425 meters in length moored to a metal gallows at the top of the tower through special insulators. Deployed in a fan, they were separated from the tower by reservoirs from which they were isolated. Four of these detentions passed on a pulley, at the top of a small iron pylon two meters high, hidden in a green mass. The extreme reservoirs led to two higher pylons, decorated by the city of Paris and set up along the axis of the rue Saint Dominique, at the entrance to the garden. 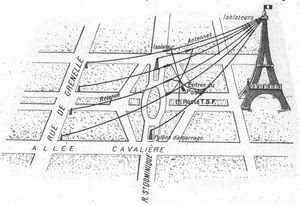 The six cables of the antenna met above the central courtyard, in the axis of the Champ-de-Mars, and a vertical conductor connected them to the apparatus of the underground station. The antennas, photographed above, were electrically insulated. Above the isolator, each antenna wire was stretched by a steel cable that passed over two grooved pulleys mounted on a platform protruding from the Tower, then wound on a winch. To visit, repair and even replace the antenna wires, it was enough to bring it on the ground by activating the winches. In 1910 it was necessary to recreate part of the laboratory, the flood of the Seine having flooded. This era was the golden age of the TSF at the Eiffel Tower. This facility was used to send messages everywhere in Europe because it was an extremely powerful transmitter. 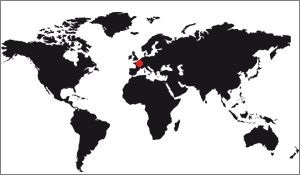 The other, more modest, facilities were used for reception (with the exception of the Bordeaux station, which broadcast to other continents).